A few weeks ago I was contacted by the Scrub Love team and asked if I’d be up for trying out their coffee body scrub. I’m always up for a bit of bathroom pampering, so saying yes was really a no brainer. 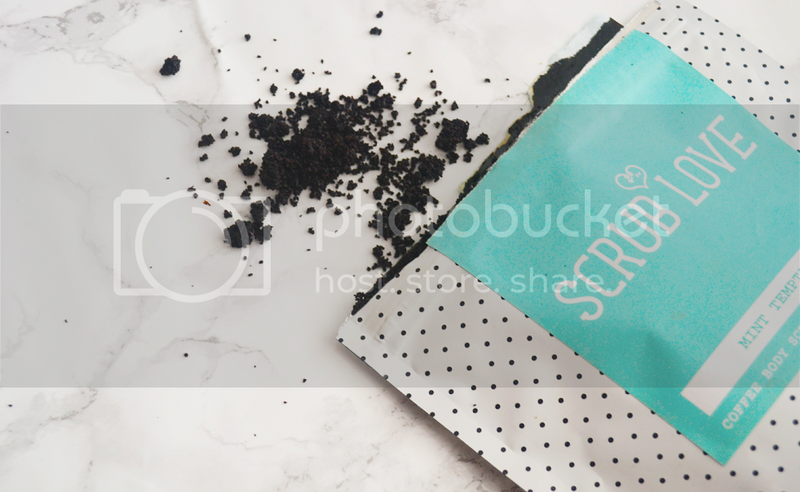 I was sent their mint temptation formula, which contains a blend of oils (argan, tea tree, peppermint), roast organic coffee, dead sea salt and aloe vera. All of Scrublove’s ingredients are organic, ethically sourced, and fair trade, which is a definite plus. You can read more about their ethos here. The first thing I noticed about the product was its incredibly strong smell, it immediately engulfed my bathroom which, since, has this blended coffee and hot water smell, which I guess will be a great plus for some and a major turn off for others. I don’t mind the smell too much, but it is very strong, especially during use. 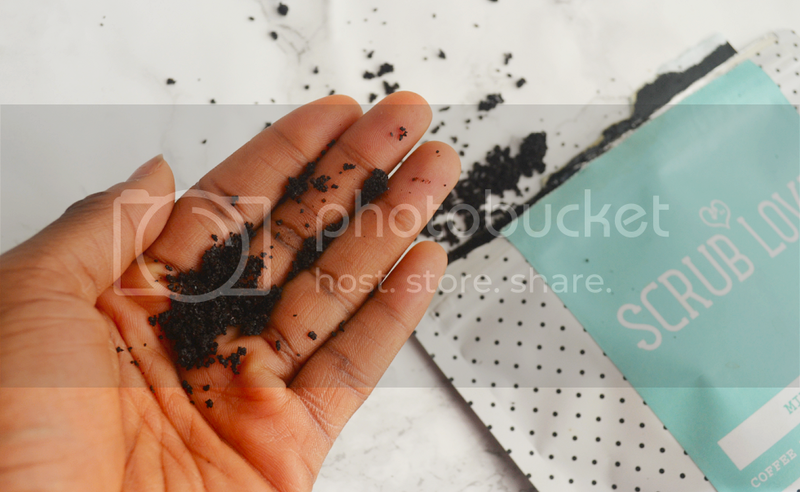 The scrub is also quite tough on your skin, I’ve never used a coffee scrub so I’m used to softer, in-tub scrubs that dissolve more easily into your skin, however, once washed off, it did leave my skin feeling a lot softer than what I’m used to, even with other non-coffee scrubs. Once washed off, it doesn’t leave your skin smelling too strongly of coffee at all, and it leaves your skin super soft, almost as if you’ve just moisturised, which in a major win in my books. It also washes quite effortlessly down the drain, so doesn’t leave you bathroom too dirty which was one of my concerns. It’s super easy to use – just grab a handful of the scrub and massage it into your skin in circular motions, let it sit for some time, then wash it off and feel like you’ve just been to a spa. For those looking for a little bit a pampering, I’d definitely recommend you purchase some of the Scrub Love body scrubs to try out. You can also make it onto their instagram by posting a photo with the hashtag #babesthatscrub on Instagram! Have you ever tried a coffee scrub? How did you find it? 2 Responses to "Scrub Love: Mint Temptation Scrub"
I love the sound of this! I think scrubs can really make your skin feel so much better!